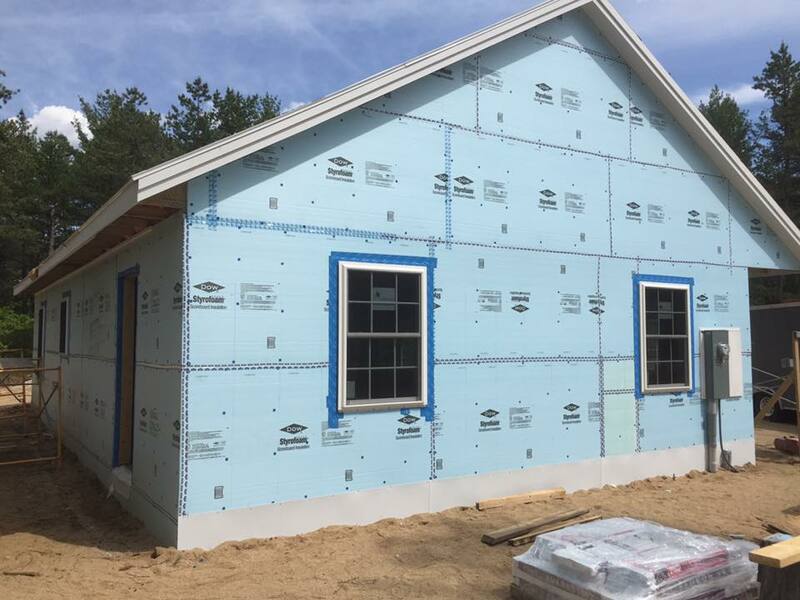 The latest house is 1200 sq. ft.with 5kw PV solar panel system with inverters, hot water radiant floor heating system and a heat recovery system. The homeowners, Deni and Evan Shangraw surpassed their obligated 300 sweatequity hours, accumulating them at both the Grison Rd.site in Madison as well as on their own site. 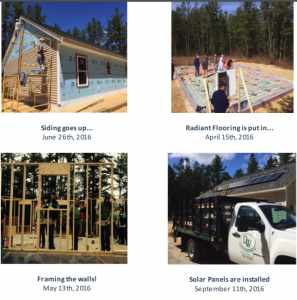 The house was started last fall with the lot cleared and slab foundation poured. It was capped for the winter; restarted in the spring when the local road bans were lifted. Radiant floor tubing was installed and remaining foundation poured. Foundation sills put in place, ready for walls to be erected. 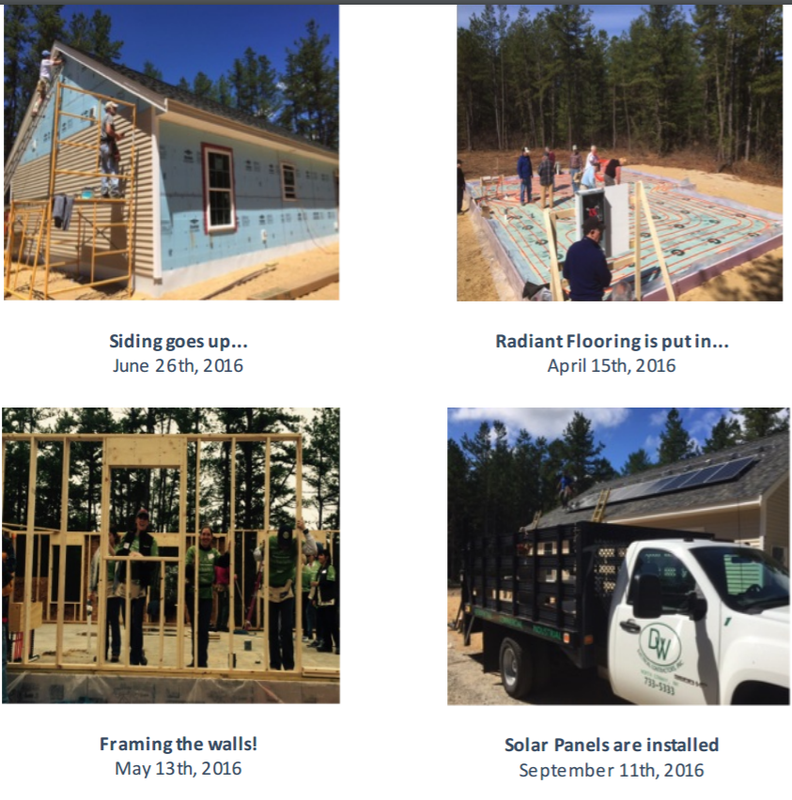 Three walls went up on Women Build Day in May and house construction ensued throughout the summer into the fall. In early November,the house was finished. On Saturday, the 12th, the Shangraws received the keys to their house from Anthony Ruddy, Chairman of the building committee.